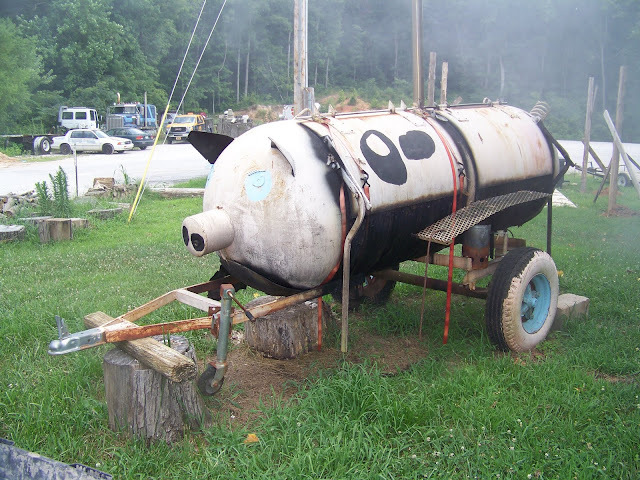 Well, when you're traveling down south and you see this outside a little BBQ shack, you can probably expect some good stuff. 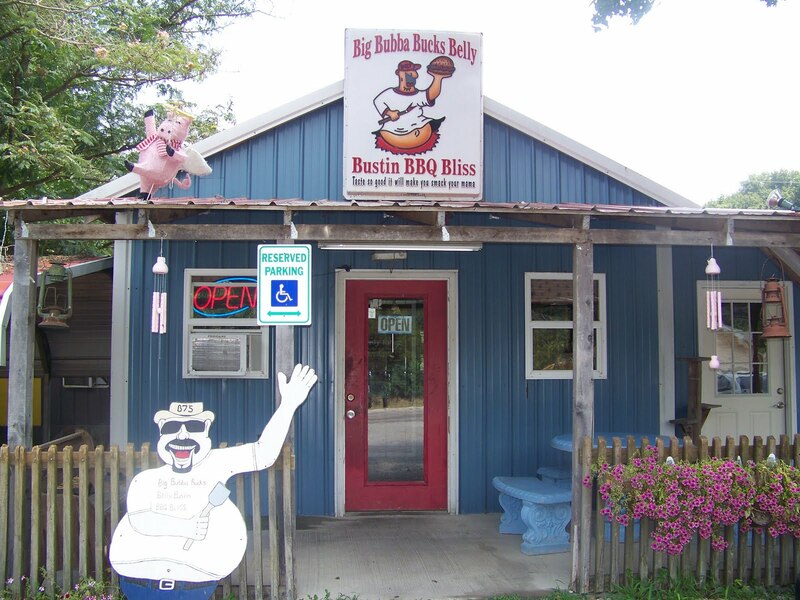 This is what we first saw when we pulled up to Big Bubba Buck's Belly Bustin BBQ Bliss in Munfordville, Kentucky where they were cooking up some great barbecue. And here's the rest of the place. It was recommended by a contact at the tourism bureau. As soon as I heard the name, I knew we'd have to make a stop. My husband is always on the hunt for good barbecue when we travel. Here's a combo meal that included ribs, pulled pork, chicken (it was supposed to come with pork shoulder, but it was still cooking and we were on a tight schedule and didn't have time to wait for it so we substituted with chicken.) There's also cornbread, which in that area seemed to be more like pancakes than the bread-style or muffin-style cornbread we're used to and macaroni and cheese and peach cobbler for dessert. 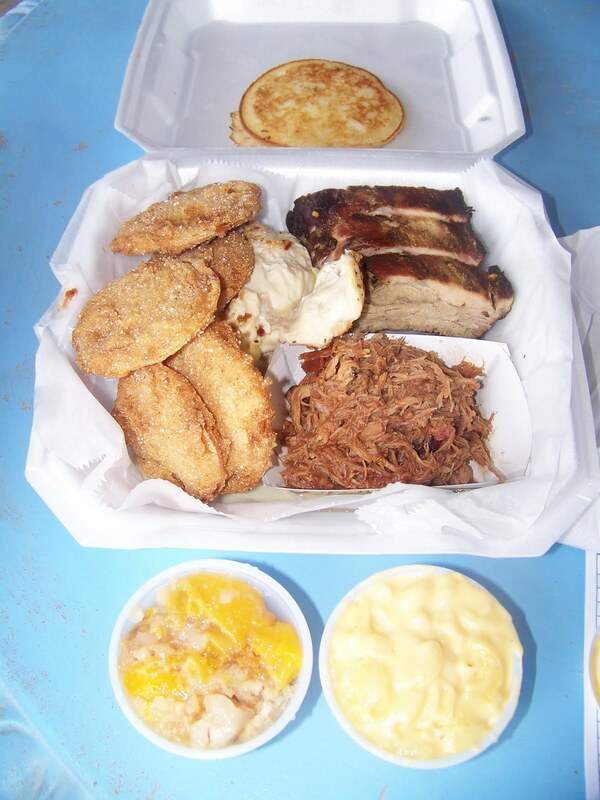 On the left was a side that I added of fried green tomatoes...OMG...best ever!!!! Everything was tasty! Sauce was flavorful, but not too spicy for me. I especially loved the pulled pork. And I am still dreaming about those fried green tomatoes.